Scott Bay, is a digital journalist who reports on the latest technology trends, focusing specifically on travel, design, and wellness. The Amazon Echo smart speaker system launched in 2014, introducing millions to Alexa, the system’s virtual assistant. Alexa could play a song, give weather updates, or announce the time. 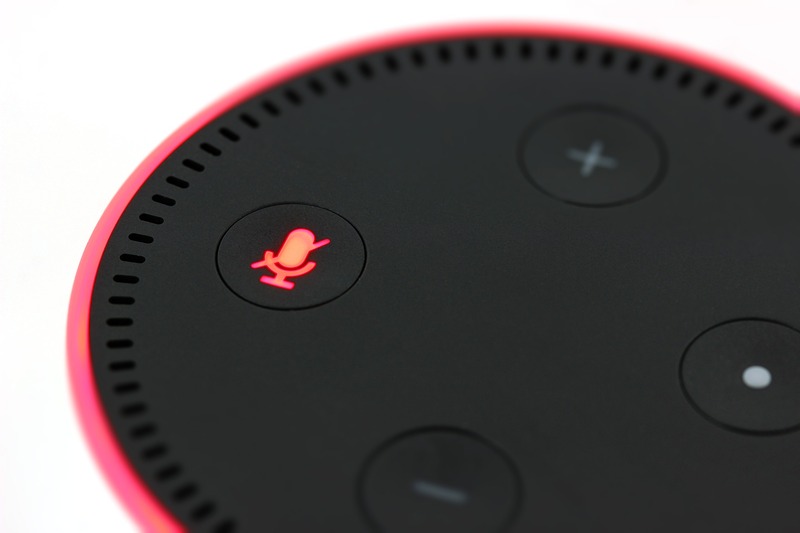 Now, with tens of thousands of commands in her databank, Alexa is doing more than the basics. According to a recent study from Intel, 68% of Americans believe smart homes will be as commonplace in the next ten years as smartphones are now. Amazon is leading the trend in smart home intelligence with seven Echo models in its lineup, making it easier than ever to manage your smart home by integrating with a voice-controlled home automation system. These Alexa-enabled devices are also making it easier to lead healthier, more organized lives. Read on to learn more. Amazon Echo monitors your goals and can increase your motivation. Alexa can be your personal trainer, planning specific workouts based on your personal weight loss goals and activity levels. She also teaches you the name of each move and tells you how many reps to complete. If you own a Fitbit, you can check your progress through Alexa and stay focused on tracking your daily step or sleep goals. Alexa can even guide you through a seven-minute workout to boost metabolism and burn fat or track your progress during a thirty-day push-up challenge. Breathing exercises are used in meditation and yoga practices to help with self-awareness and inner peace. This breath therapy helps those who live with anxiety, depression, chronic pain, and other issues. With one simple voice command, Alexa can guide you through meditation and breathing exercises to help you relax and feel calm. Another way Alexa can help you feel calm and relaxed is by creating a soothing environment in your home. Her smart home technology allows you to dim lights, play calm music, and keep the temperature at a comfortable setting. She can play sounds such as ocean waves, rain and thunderstorms, and even white noise to help enhance your mental well-being. If your goal is to spend more time cooking healthy meals and avoiding unhealthy take out, Alexa can help you. Using Alexa, you can add food to your shopping list, track your meals and calories, and follow healthy recipes. OurGroceries organizes your shopping lists and syncs them to all the smartphones in your home. When you’re home, add healthy items to your list via voice-command, then use the organized list as you shop to avoid grabbing quick, junk food items. Alexa can also help you track your water intake and find the calories, carbohydrates, and protein content of most foods. No more excuses for not knowing how many calories are in a cupcake—Alexa can tell you. Did you know you can link your calendar with Alexa? Once you do, you can ask Alexa to set reminders or add meetings or daily tasks to your schedule. Alexa also works with Google Drive features. If your to-do list at work is running through your mind while you’re cooking dinner for your family, for example, Alexa can add the tasks to a new Google Doc or Sheet so they’re waiting for you in the office the next day. One of Alexa’s newest tricks is sending text messages on Android phones. With this tool, you can tell your spouse to bring home dinner while you’re cleaning, and Alexa can send the message for you. As your life gets busier, Alexa’s smart technology can make getting fitter and more organized easier. Comment below on how Alexa enhances your day-to-day doings.